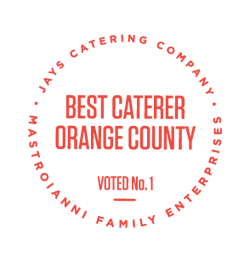 This Valentine’s Day, everything’s roses! 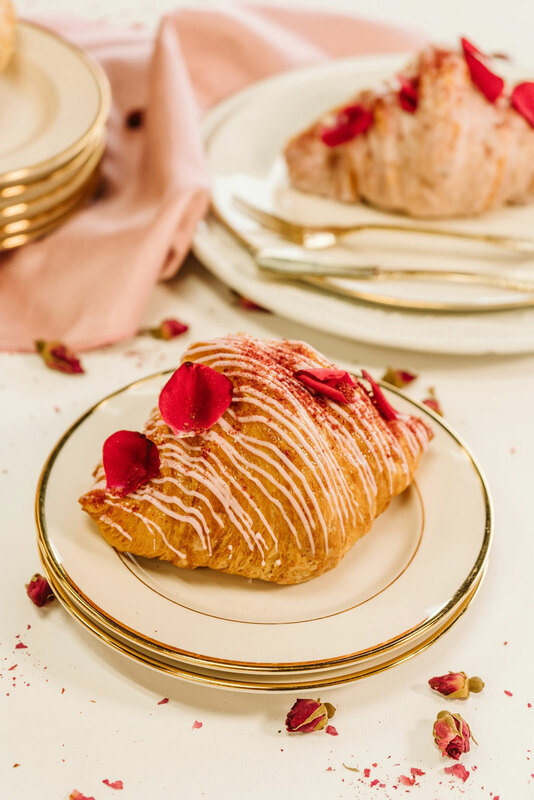 Order online at Jay’s Catering or stop by Ellie’s Table in San Juan Capistrano to pick up our limited edition Raspberry Rose Croissants, Conversation Heart Cookies, and Cupcakes inspired by one of our favorite flowers; the rose. 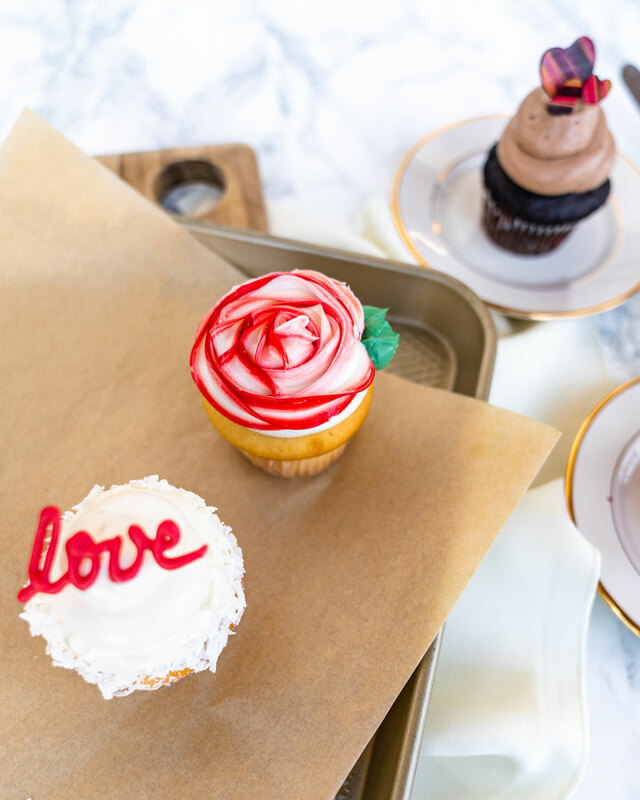 Surprise a loved one (or treat yourself) with our delicious assortment of Valentine cupcakes. 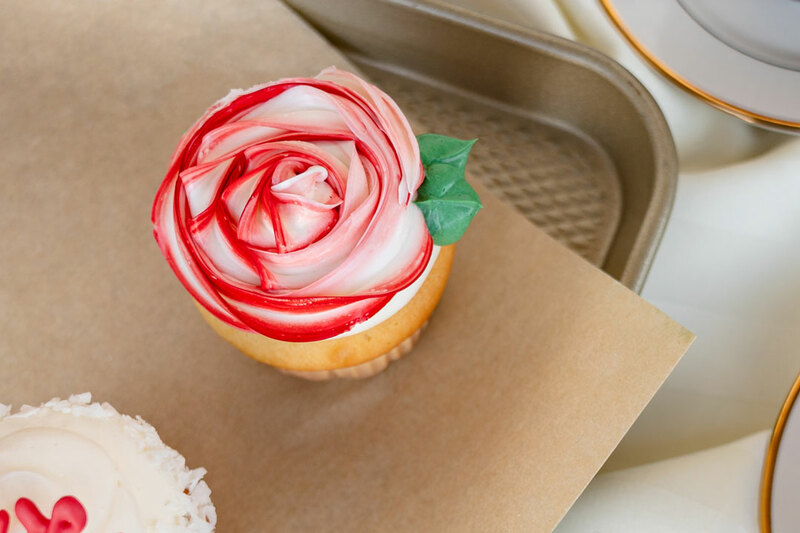 For the fruit lover, pick up our Strawberry Shortcake Cupcake filled with fresh diced strawberries and pastry cream and iced with a rosette in French buttercream. 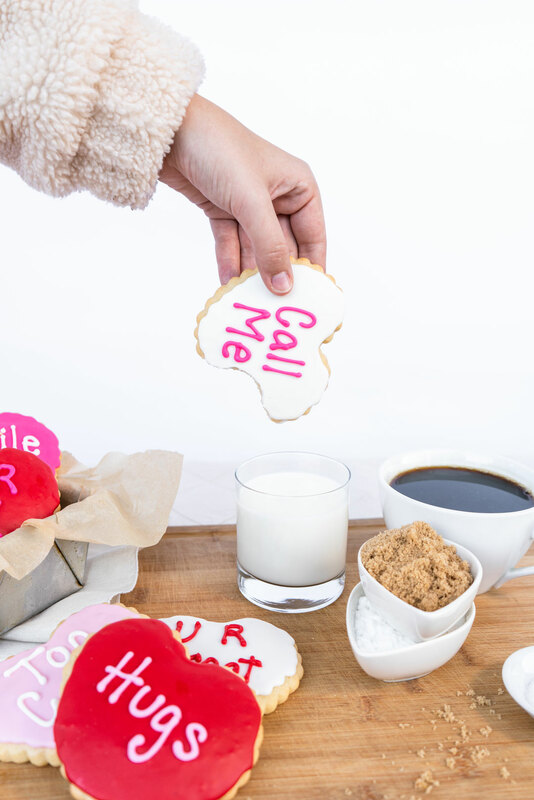 What says “I love you” more than chocolate? Gift your significant other our Chocolate Delight Cupcake filled with chocolate Bavarian cream and iced with a rosette in French buttercream. 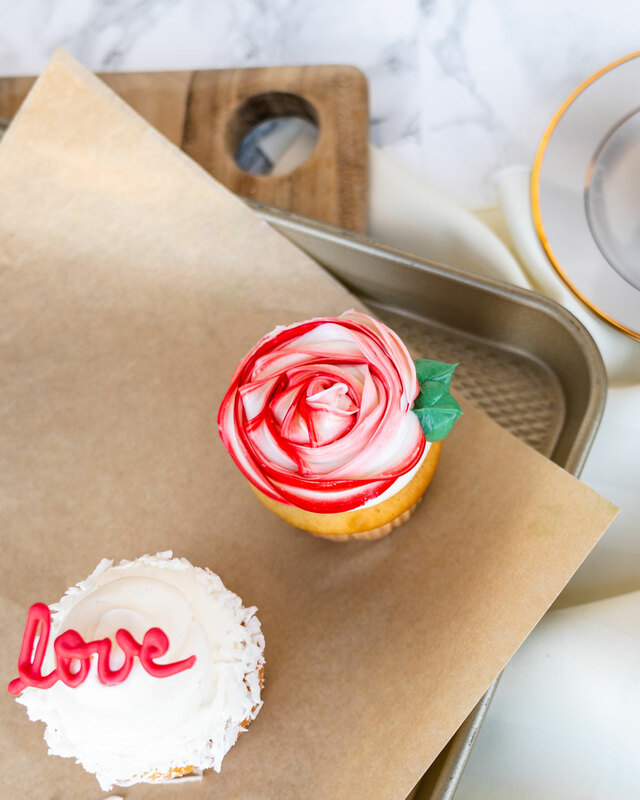 Last but not least, express your love with our Red Velvet Cupcake filled with delicious cream cheese filling and frosted with a rosette in cream cheese icing. Available online at Jay’s Catering or at Ellie’s Table for pick up. 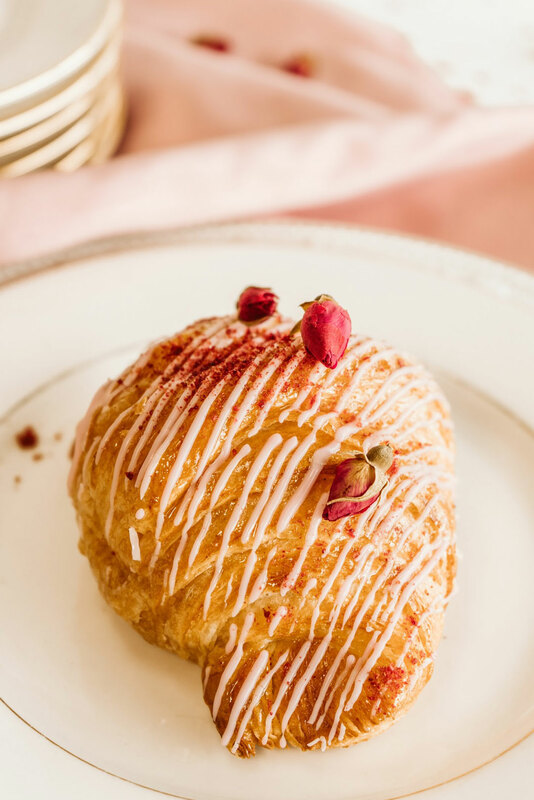 Have a sweet tooth and a hankering for pretty pastries? 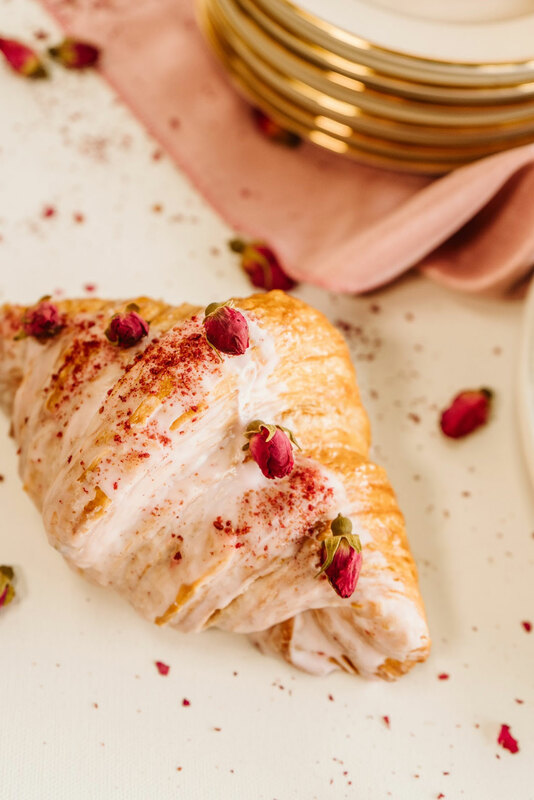 Our Raspberry Rose Croissant is topped with a rose water glaze, rose buds, and freeze-dried raspberries while the inside is filled with our homemade, delectable raspberry pastry cream that's so good, you’ll lick your plate clean. Only available at Ellie’s Table. 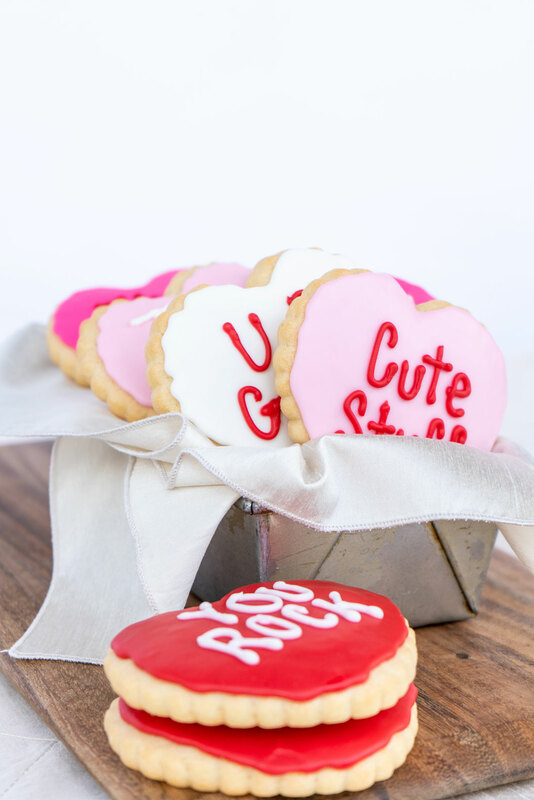 Gift your Valentine our Conversation Heart Cookies. 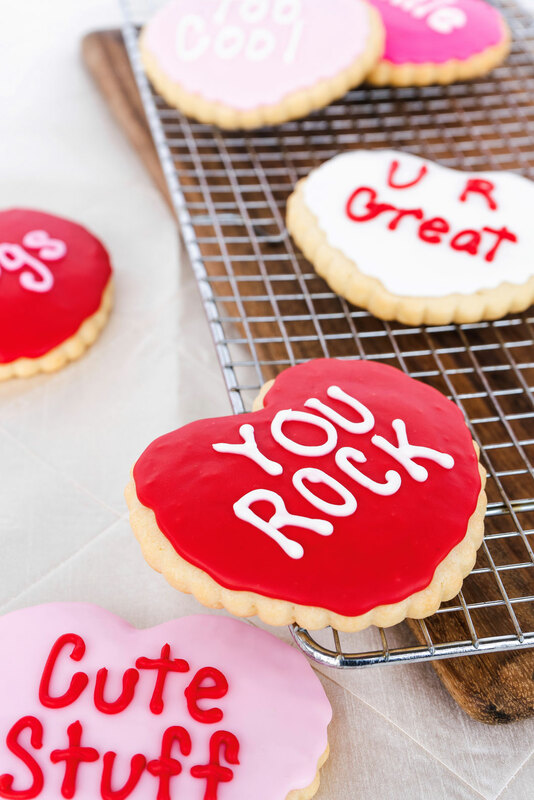 Spell your love out with these melt in your mouth treats perfect for anyone in your life. 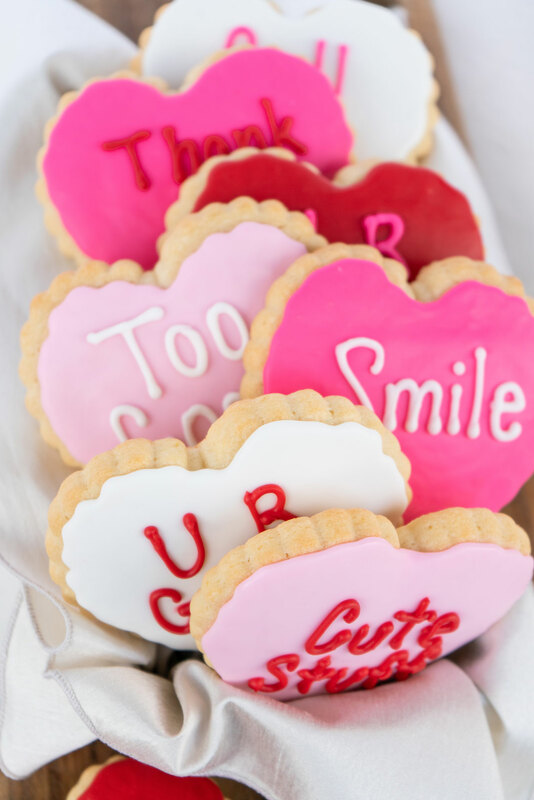 Baked with love to spread the love. Available online at Jay’s Catering or at Ellie’s Table for pick up.